Jury consultants including David Ball have advocated appealing to “the reptilian brain” when presenting a case to the jury. I read David Ball’s books and consider him to be a high level jury consultant dedicated to advancing trial advocacy. I believe all serious trial lawyers read Ball and learn from him. It is important to consider the source of the Reptilian Brain, and tailor Reptilian theories accordingly. This is because our brains are more complex than the Reptilian Brain proponents give us credit. A couple of years ago I was introduced to the Triune Brain when reading The Biology of Transcendence: A Blueprint of the Human Spirit, by Joseph Clinton Pearce (Park Street Press, Rochester, Vermont) (2002). From Pearce I learned Dr. Paul MacLean, a physician and neuroscientist, years ago developed the theory of the Triune Brain. According to MacLean the human brain has evolved in three stages and is composed of three parts. Each has its own intelligence, its own sense of time, and its own unique function. (But see Appropriateness of Triune Brain Theory). First, we have the oldest part of our brain located at the base of the brain which he termed the Reptilian Brain. The Reptilian Brain or R-Complex evolved hundreds of millions of years ago. The R-Complex is referred to as the Reptilian Brain because it is similar to the brain of the modern day reptile. It replicates bodily processes of breathing, heart beat, and the fear and flight mechanism. The R-Complex functions in a habitual patterned way. It is unable to alter learned behavior. The R-Complex takes over physical parts of our learned skills such as walking, running, typing, biking, driving, playing an instrument, or playing a sport. This in turn frees the upper more highly evolved areas of the brain to stand outside of motor function and observe and discover ways to improve. Second, surrounding the R- Complex MacLean teaches we have the more recently evolved Limbic System. This is the emotional cognitive part of our brain. 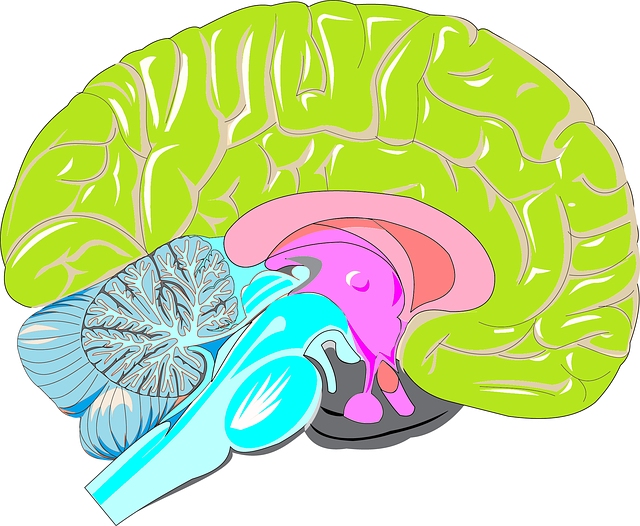 According to MacLean our long term memory stems from this part of our brain. Long term memory occurs when there is an emotional arousal associated with an event. The limbic system (emotional brain) is where we evolve our relationships. According to Joseph Pearce the key time frame for development of our emotional brain is the first few years of life. If we have a stable situation we are fortunate and will develop in a well balanced emotional way. Lack of stability translates to impaired emotional development. Third, MacLean teaches stacked on top of the Limbic System and more recently evolved is our Neocortex. This is the upper and frontal parts of our brain. The Neocortex controls higher executive thought. This includes speech, mathematics, thinking and reasoning. According to Joseph Pearce, under MacLean’s Triune Brain theory, in normal development the three brains work together, and they work together from the top down. A positive emotional state developing after birth allows the three systems to compliment one another. Thus, we are free to think and learn (Neocortex), as we are emotionally balanced (Limbic System), and on auto pilot (R-Complex). We are thinking from the top down. Conversely, in deviant development our three brains do not work together. Because of a negative emotional state our three brains are divided. This means learning and development are impaired. Thus, we shift or reverse our thought from top down (normal) to bottom up (deviant). In a bottom up situation the reptilian controls. We become defensive, fearful, and reactionary. In the next series of posts we will explore considerations on how we make decisions with our foundation being the entire Triune Brain. We will begin with the R-Complex Reptilian Brain. What are the ethics of designing a system focused on the r-brain only. Hey can I quote some of the insight here in this entry if I provide a link back to your site? good post! 9/10…. bookmarked this blog. I hope you have you many more like this. hey my friend, i was just perusing the internet seeking for some good information and I happened across your website. Im truly awed by the information you have provided on your website. I see how well you understand this topic. I saved your blog to my favorite sites, and will be coming back frequently. Cheers. Hey i love your blog, found it while randomly surfing a couple days ago, will keep checking up please do visit mine if you wish. I was googling some info on the political situation in the USA. Did not find what I was looking for, but loved your blog. I will be back. Just what i needed i am very glad for this blog. A wonderful article. Wow! This is one of the best blogs I’ve ever come across. Merely Magnificent. Such a nice write-up! I’m so glad you chose to share it. Hello! I was performing some research for a pleading and came across your site. Just desired to say that I identified your website to be intriguing and helpful to me as I burn the midnight oil tonight (I also drank 15 cups of coffee…joy). Take a appear at my own and give me feedback if you would. Nice one, there are good points on this blog that my readers will find useful. I added your site to my bookmarks list, many thanks. I agree with your post and I look forward to reading more posts on your blog. Do you mind if I tweet your blog to my followers on twitter? I think they would enjoy your blog. Thanks. Good stuff here. Definitely worth bookmarking for revisiting. You cannot imagine how much I like your blog. Every phrase supports the other sentences. In reality, it makes me stunned all the time. have already been reading your blog for 3 days. really enjoy what you posted. by the way i am doing research about this subject. many thanks. Hi there, I am having a fantastic time reading your weblog. It gives great information. Hi you, I am really glad I have found this webpage. Now people write only about sport and fashion and this isnt really interesting, is it?. What we all need is a good interesting content like this. A good website with valuable text – thanks a lot for it! Thank you for keeping this website, I will be visiting it. Do you have newsletters? Cant find it. How about another story like this? I thought it was cool. I studied creative writing back in college, and this has the few most critical traits of a good article, engaging and fun to read. Cheers. I have been reading a lot on here the topic Beyond The Reptillian Brain | Zen Lawyer Seattle inspired me, i have picked up some great ideas. Thanks and i hope to see more soon. Ah! I take a little time out from the blogging atmosphere and come back to find that you have turned awesome?! Wow, times have changed! Keep up the awesome work! Hi, keep up the awesome work! You always offer valid information and I have been a fascinated reader of your site for quite some time. Thank you really for all the good work you do! It is my very first time viewing your site. It as many useful thoughts. Nice website. I just finished my site and you have given me ideas. Great read! Nice details on this website. Hope I see more of this stuff on your weblog. I’ll be back. I am glad to be a visitor of this unadulterated web site! Thanks for this rare information! Awesome site, good content and nice background. I dont know what to say. this is definitely one of the better blogs Ive read. Youre so insightful, have so much real stuff to bring to the table. I hope that more people read this and get what I got. Great job and great site. I cant wait to read more, keep em comin! Can I simply say what a aid to seek out someone who truly is aware of what theyre speaking about on the internet. You undoubtedly know the best way to carry a problem to light and make it important. Extra individuals must learn this and understand this side of the story. I cant believe youre not more fashionable because you definitely have the gift. Cool blog. This is definitely better than the others I have recently read dealing with this. The layout is very organized, I think I am going to steal this. Just kidding…Ciao! Appreciate it – excellent content. I’m going to revisit and read more eventually. This will be the internet site I read on my new Iphone. Ill be back. Nice site! A lot of info that goes along ways. Hey! Just dropped by to say great site. Continue with the good job you’re doing! Hi there, I loved reading your blog. I believe everyone would benefit from reading this as it has a slew of wonderful information and knowledge. So, I’d just like to tell you thanks for taking the time out of your busy schedule to write this valuable post as I’m certain that I am not the only one that gained a great deal of information. Take care, can’t wait to see what else you post! You should participate in a contest for the greatest blogs on the web. I’ll recommend this web site! Congratulations, your article was reprinted to Harvard University. Thanks for the post I actually learned something from it. Very good content on this site. Always looking forward to new post. I am really thankful for this blog and the sharing through posts like this. The triune brain stuff is at odds with contemporary neurological knowledge (cf. Wikipedia).Old origins don’t mean that something is still in its primitive state. Amsterdam is old: more than 700 years in fact; but none of the hovels from Gijsbrecht van Aemstel’s days is still standing. Brain parts of old origins have co-evolved with the rest.